Buildings are living organisms. They’re healthiest when they’re full of life. Nothing’s more lively than an event venue, especially one focused on businesses. Everyday new guests come and go, bringing with them a vitality that never grows stale. And many return on a regular basis. HUONE is that reason. Today’s real estate trends toward high vacancy rates and low commitment around the world. The threat of vacancy can be frightening especially as work and, as a result, offices are changing. The need to be in one place is not guaranteed anymore. Buildings are now about Location, Content, Content. That’s why having a partner like HUONE is not just comforting, it’s invaluable. 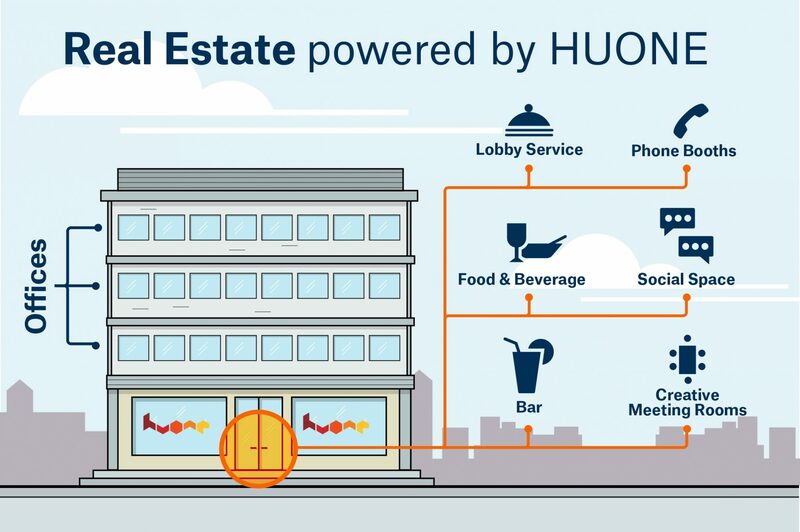 HUONE is a guaranteed resident that’ll be an anchor transforming your buildings into a destination. Your building won’t be another office block, it’ll be a destination. HUONE is the anchor, the hub around which modern business occurs. People may not need offices, but they still need places to have meetings. So why not have them in your buildings powered by HUONE.